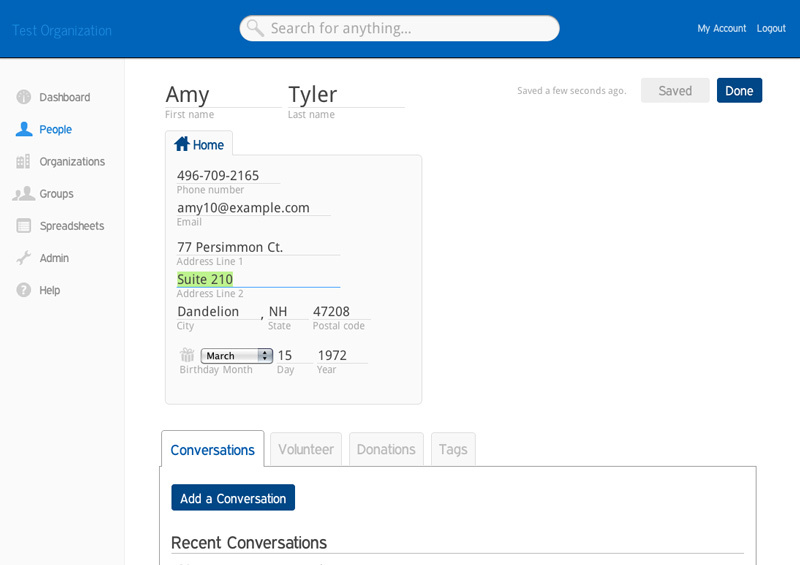 Screenshots - see what easy to use for nonprofits looks like. More than just some pretty screenshots. 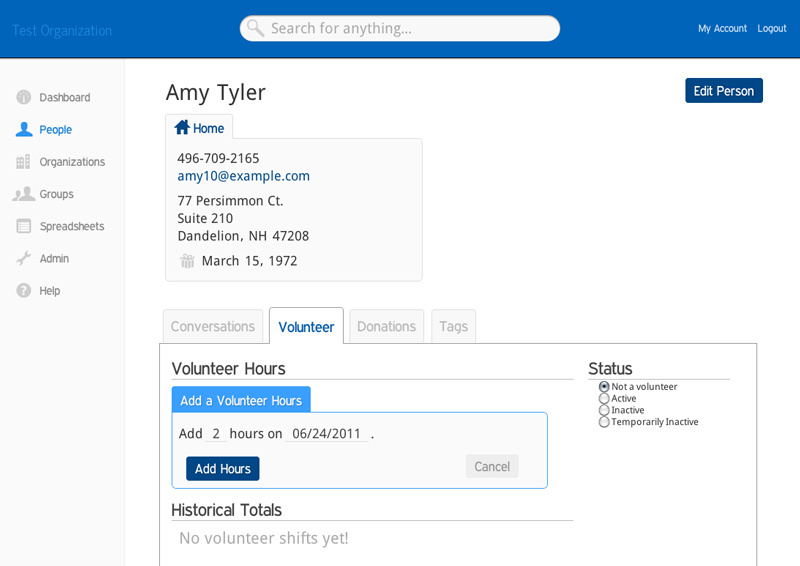 The search bar looks in your people, organizations, groups, and spreadsheets. And it's fast - updating instantaneously as you type! No rows and columns here. We've laid out the screens to look like the things you'd expect - addresses actually look like addresses. We've tried to make everything as simple as possible. 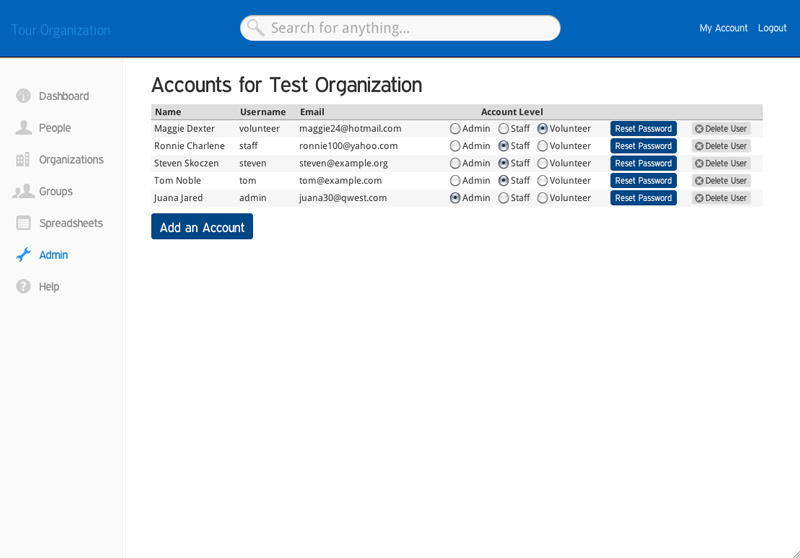 Simply make your changes - GoodCloud saves them automatically in the background. 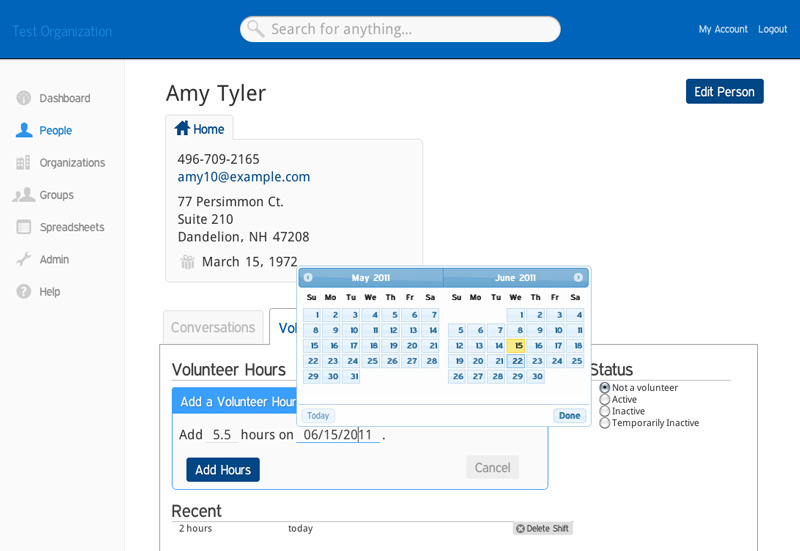 Adding hours for volunteers couldn't get much simpler. Now you can remember what what was said, with who, when. 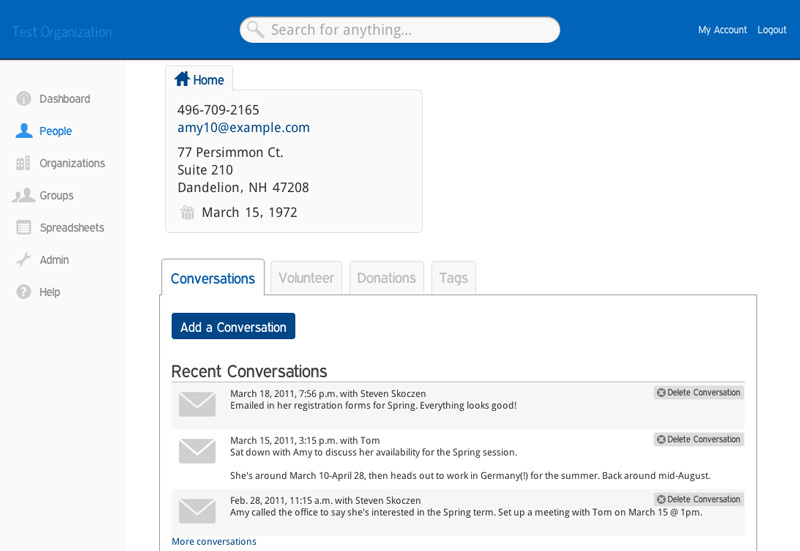 Conversations makes it simple to keep a history of interactions for your nonprofit. 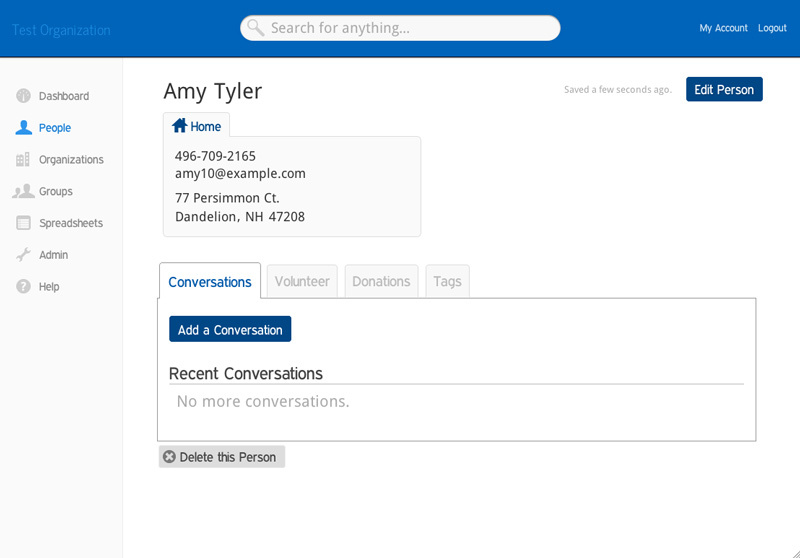 We designed conversations to be fast and easy - so you could type them in while you're on the phone, or just copy and paste an email. 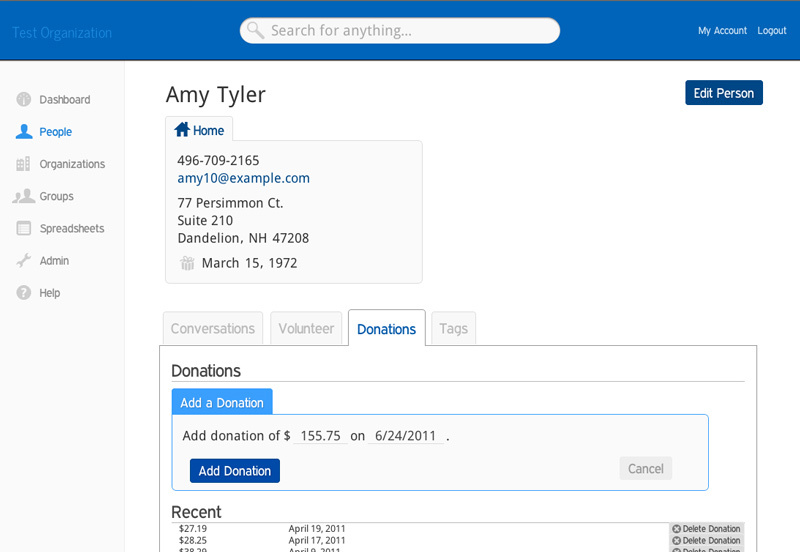 Simple and easy to add donations. 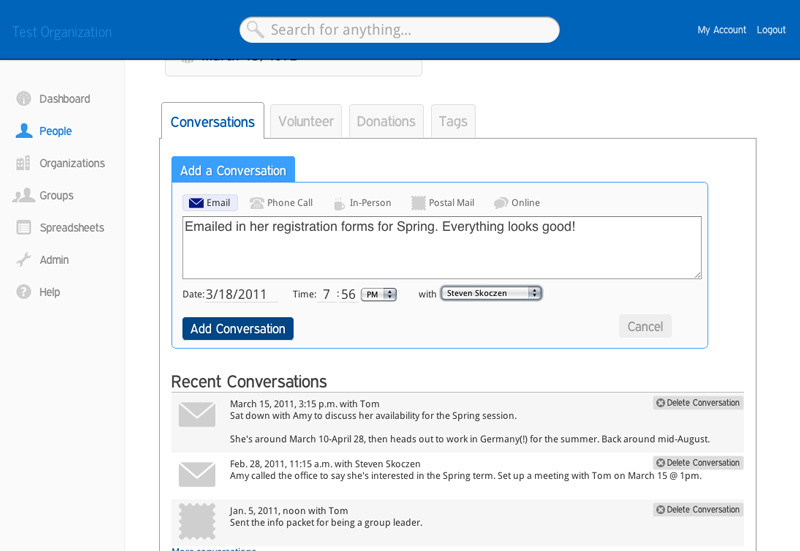 No more glancing for the calendar - it's built into all of the dates in GoodCloud. 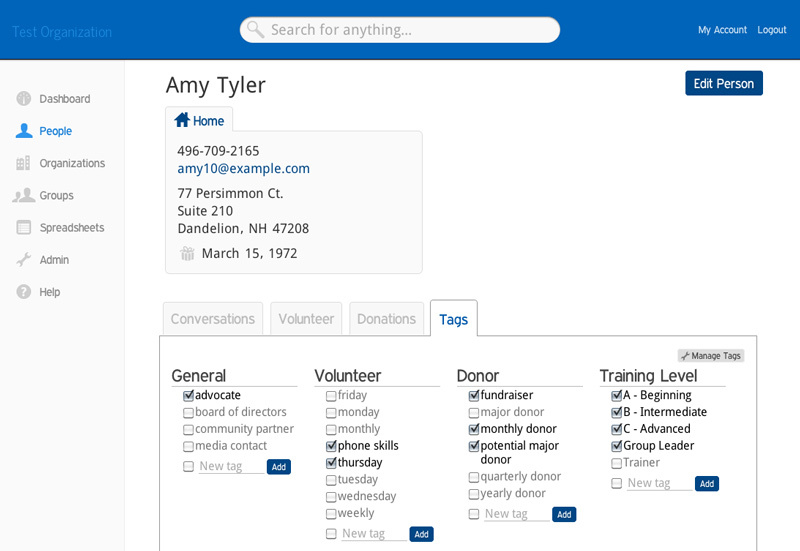 One-click to categorize your people in GoodCloud, using the tags that make sense for your nonprofit. 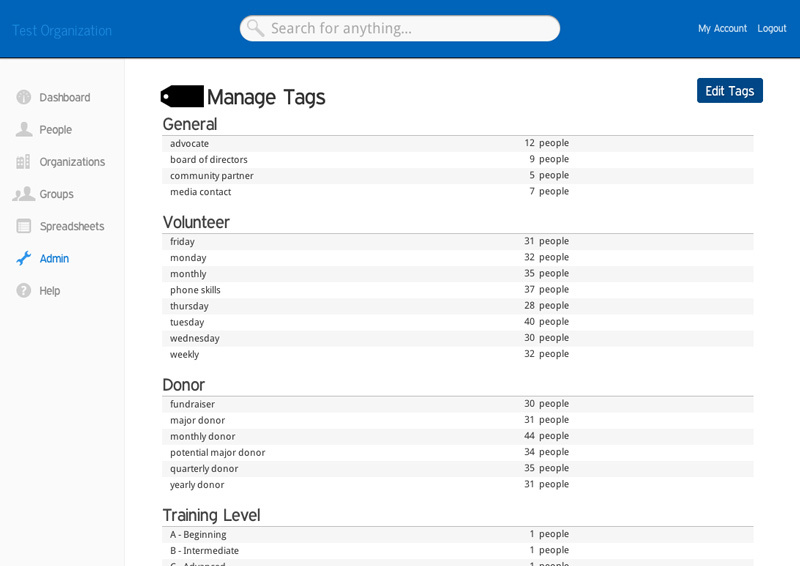 Tags have been built to be fast, easy, and flexible - to match your organization's needs. 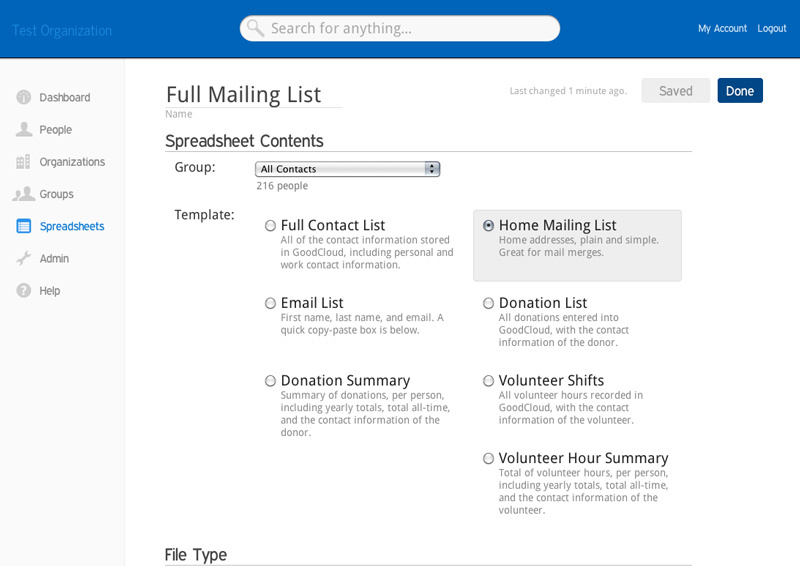 Your groups are saved and continually updated - ready when you need them. 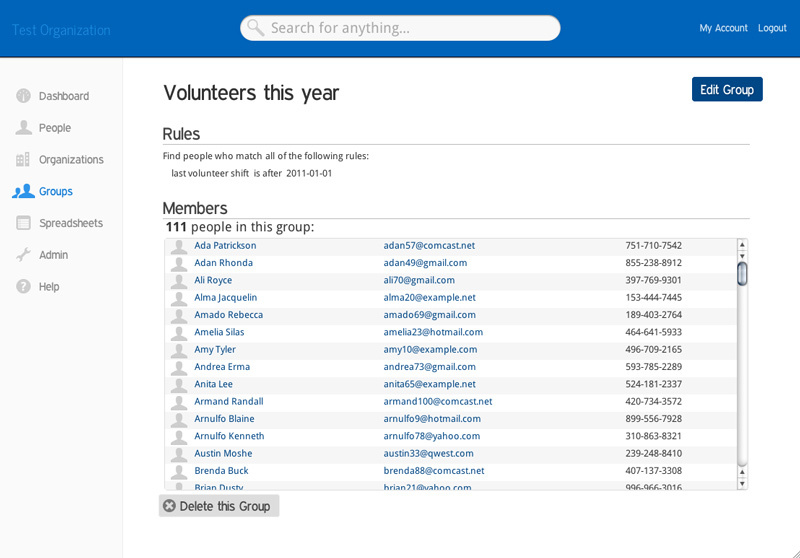 Groups keep themselves up-to-date, automatically. Downloading the latest mailing list is one click. Simple. 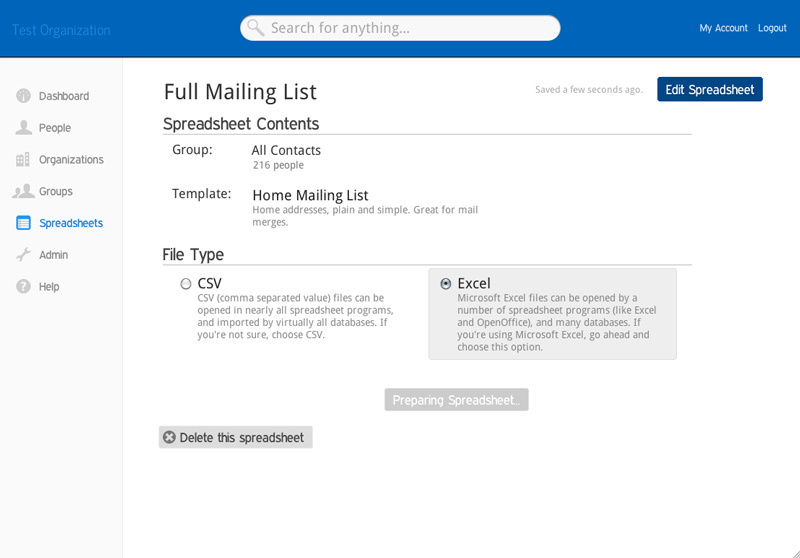 We've built-in the most commmon templates for spreadsheets - setting up a spreadsheet is a few quick clicks. 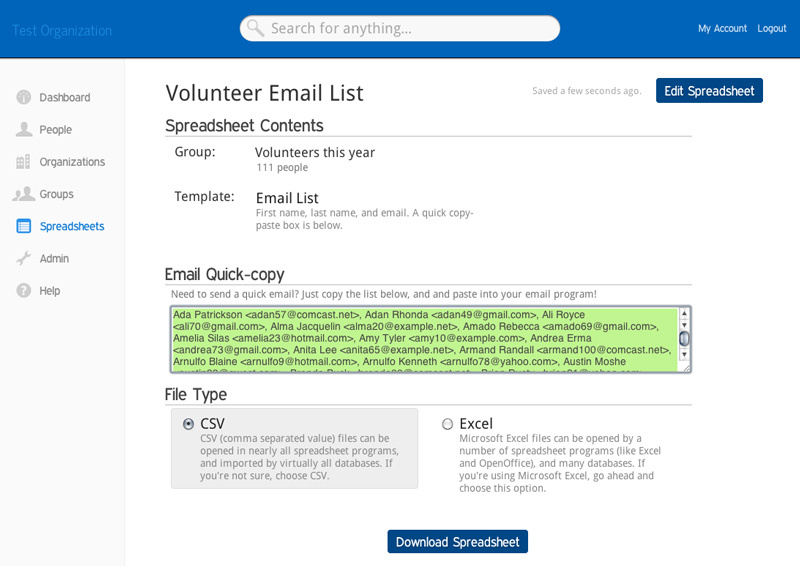 For the email template, we included a quick-copy box, so you can just copy and paste into your mailing list software, email program, or anything else! 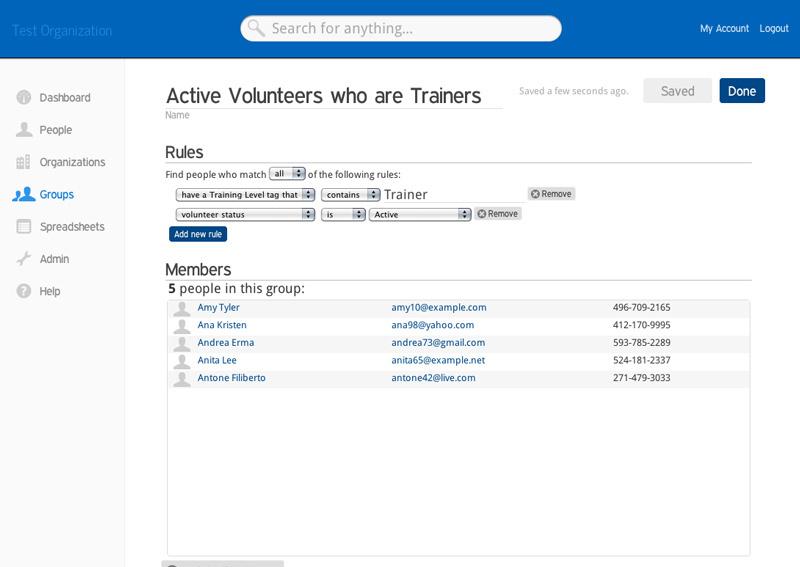 Add an unlimited number of staff and volunteer accounts. 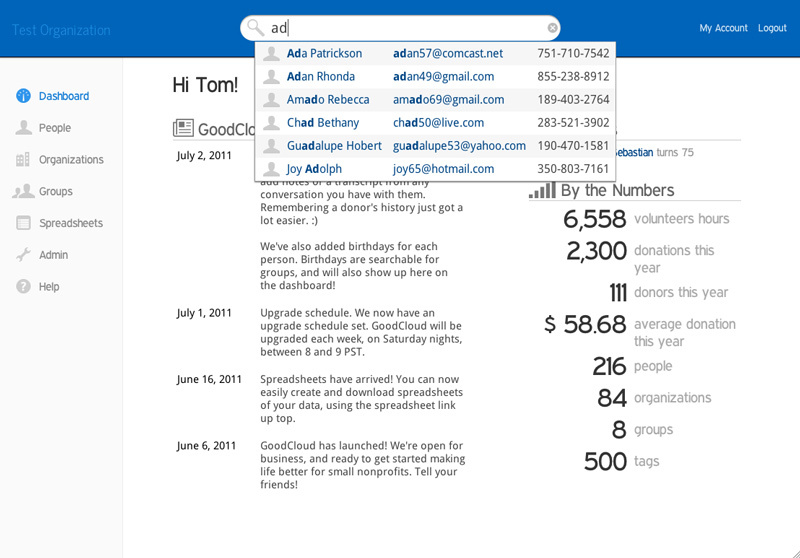 Here's a few pages from within GoodCloud. Of course, the best way to experience them is to sign up for a free trial! No risk, no credit card. 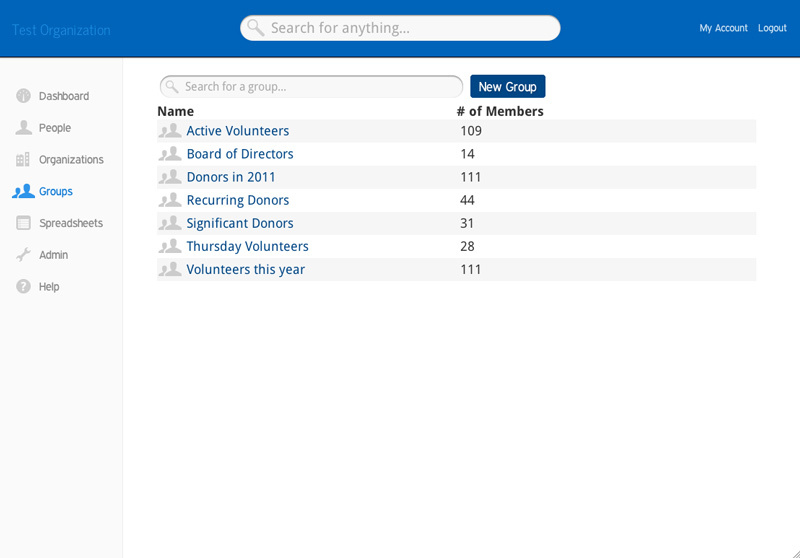 We invite you to see these screens with your own donors and volunteers, and see if GoodCloud really isn't the easiest solution you've used. Now, try it out yourself!